It seems as if there are more survivors of the 1815 than what an R2 would normally have, with many high grade examples and many problem free circulated specimens. 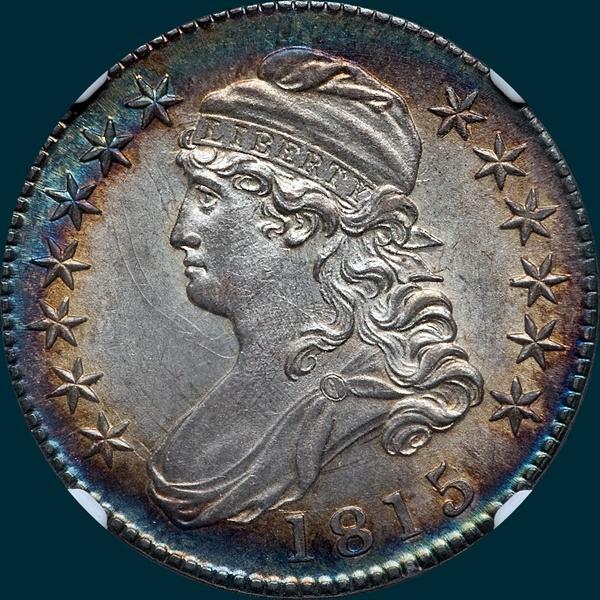 Everybody wants one though, as these were some of the few coins minted in 1815. Variety Attribution: Oberse-5 punched over 2. Date is 10 mm. and traces of the 2 show at stand and between upper curve and crossbar of the 5. A small die crack from upper side of curl near center of neck. Star 8 and Star 11 recut. Reverse-50 C. is 1 3.4 mm. Arrow to A is 3/4 mm. A small defect in the right angle of N in UNITED. Left side of D and right side of E are in line and I is centered under left side of T. Clash lines to a greater or lesser degree on all specimens, but on early states they are very light. 101A shows die cracks. One from olive leaves up through UN and around legend to OF, then down through F and serif of A to scroll. Another from edge above M down through ERICA, across arrowheads and 50 C. to edge below olive. 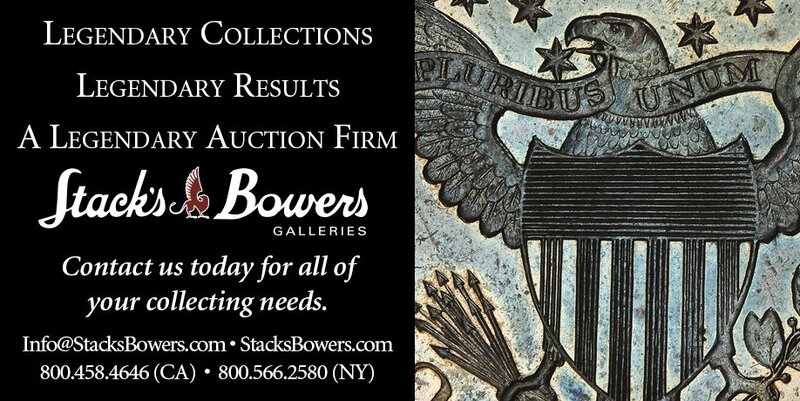 The 1815 dated Capped Bust Half Dollars were actually delivered in January of 1816, just prior to the mint fire. 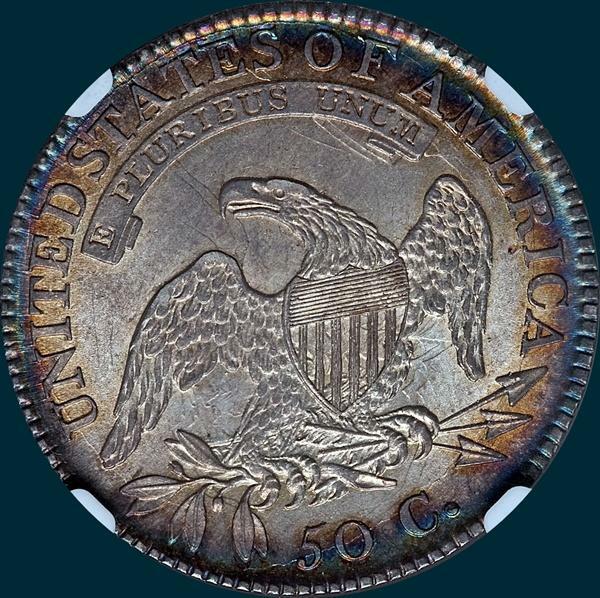 The war of 1812 caused silver bullion hoarding and there was no silver available through most of 1815 to mint coins. Battle of New Orleans fought even though War of 1812 had ended. US victorious over British with furture President Andrew Jackson leading. John Stevens issued the first US railroad by New Jersey. US Navy hero Stephen Decatur defeats Algerian pirates in a brief war. James Monroe elected 5th President of the United States. US mint in Philadelphia is damaged by fire with the smelt and mill houses being destroyed.